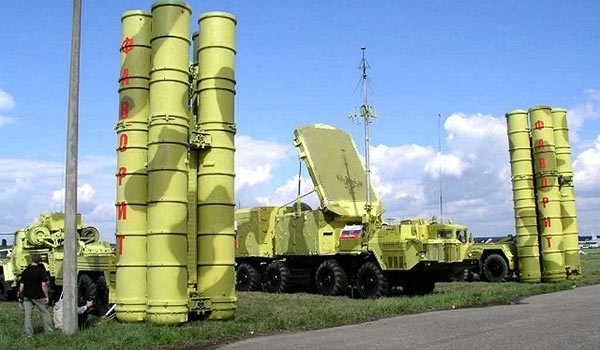 JNN 14 Apr 2015 Moscow : Russian President Vladimir Putin signed a decree on Monday to lift the ban on the delivery of S-300 air defense missile systems to Iran. Interfax quoted a senior Russian General as saying that “supplying Iran with the S300 missile system, would compensate the geopolitical mistake Russia did during last years”. Putin’s decision on Monday to lift embargo on the deliveries of S-300 air defense missile systems comes in the wake of progress achieved at the Iran nuclear talks in Switzerland over a week ago paving the way for the international community to lift sanctions against the Islamic Republic. Lavrov said earlier in the day that Russia’s embargo on deliveries of S-300 air defense missile systems to Iran was no longer in need due to progress in the resolution of the situation around Iran’s nuclear program. “The G5+1 stated progress in the settlement of Iran’s nuclear program. Political frameworks of the final agreement were coordinated. They received a high assessment everywhere on the international arena,” he said. “S-300 is an air defense missile system, which is of a purely defensive nature. It is not designed for attacks and will not put at risk the security of any regional state, of course,” Lavrov said. “Meanwhile, for Iran, taking into account the very tense situation in the region surrounding it, modern air defense systems are very important,” he said. Also on Monday, Iran’s Defense Minister Brigadier General Hossein Dehqan hailed the Russian president’s Monday decision to repeal the ban prohibiting the delivery of S-300 missile air defense systems to Iran, describing it as a prelude to the widening and enhancement of Tehran-Moscow relations in all fields. Earlier this month, a leading Russian defense expert said that his country may resume the deal to deliver S-300 surface-to-air defense systems to Iran. After negotiators from Iran, the United States and other world powers agreed on April 2 to a framework for a final agreement on Tehran’s nuclear program, Russian Deputy Foreign Minister Sergei Ryabkov said that a UN arms embargo against Iran should also go. “Lifting sanctions on Iran, including the arms embargo, would be an absolutely logical thing to do,” said Igor Korotchenko, who heads the Global Arms Trade Analysis Center think tank in Moscow. “Of key importance to us is the delivery of the upgraded S-300 missiles to Iran… A contract to this effect could be resumed on terms acceptable to both Moscow and Tehran,” he added. In January, Tehran and Moscow signed an agreement to broaden their defensive cooperation and also resolve the problem with the delivery of Russia’s S300 missile defense systems to Iran. The agreement was signed by General Dehqan and his visiting Russian counterpart General Sergei Shoigu in a meeting in Tehran in January. The Iranian and Russian defense ministers agreed to resolve the existing problems which have prevented the delivery of Russia’s advanced air defense systems to Iran in recent years. The two sides also agreed to broaden their defense cooperation and joint campaign against terrorism and extremism. In 2007, Iran signed a contract worth $800mln to buy five Russian S300 missile defense systems. The Antei-2500, however, may be a better solution, the reports said. The system does not formally fall under the existing sanctions against Iran while still being useful for the Middle-Eastern country. Later, Iran rejected the offer, stressing that it would not change its order. In the meantime, Iran designed and developed its own version of the S-300 missile shield, known as Bavar (Belief) 373. The Iranian version has superior features over the original Russian model as it enjoys increased mobility and reduced launch-preparation time. This entry was posted in Europe, Iran News and tagged Defense Missile Systems, iran, Russian, S 300 Missile Systems. Bookmark the permalink.